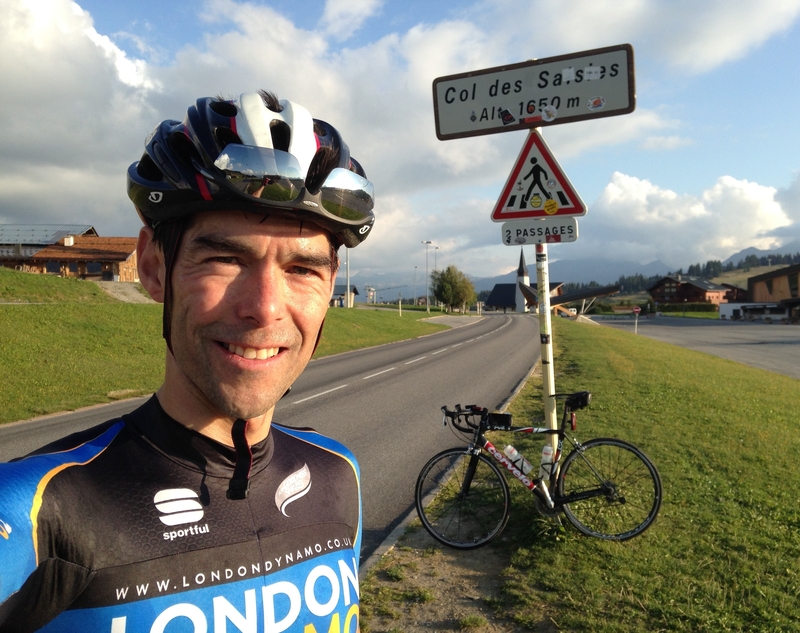 This is a fantastic ride, crossing seven alpine passes and covering 330km with just over 8,000m of ascent. I had been inspired by the sportive that does this all in a day, so I set off from St Gervais for a two day version on a cold morning in September. I wouldn’t say I had underestimated the ride as I did finish it, but I definitely didn’t start with my legs in the best shape. The day before I did a hard 25 minute effort on our ‘local’ climb (up to Le Bettex) which was fairly stupid, and then made that really stupid by running for two hours from the top of the Tramway du Mont Blanc to Les Contamines. This involved nearly 2,000m of descending which wrecked by legs and meant that on the morning of the TdMB I could not squat or walk down stairs. My legs even hurt when I rubbed on sun-block. On the first climb up to Servoz on the way to Chamonix my legs felt so bad I contemplated turning back. However, I pushed on and in retrospect I think that the painful legs may have helped as it stopped me starting too fast. I also had the unusual experience of feeling better the longer the ride went on. Fantastic views of Mont Blanc and the Chamonix Aiguilles were followed by my first rendezvous with Lillian (who was in the car and supporting me) on the Col des Montets. 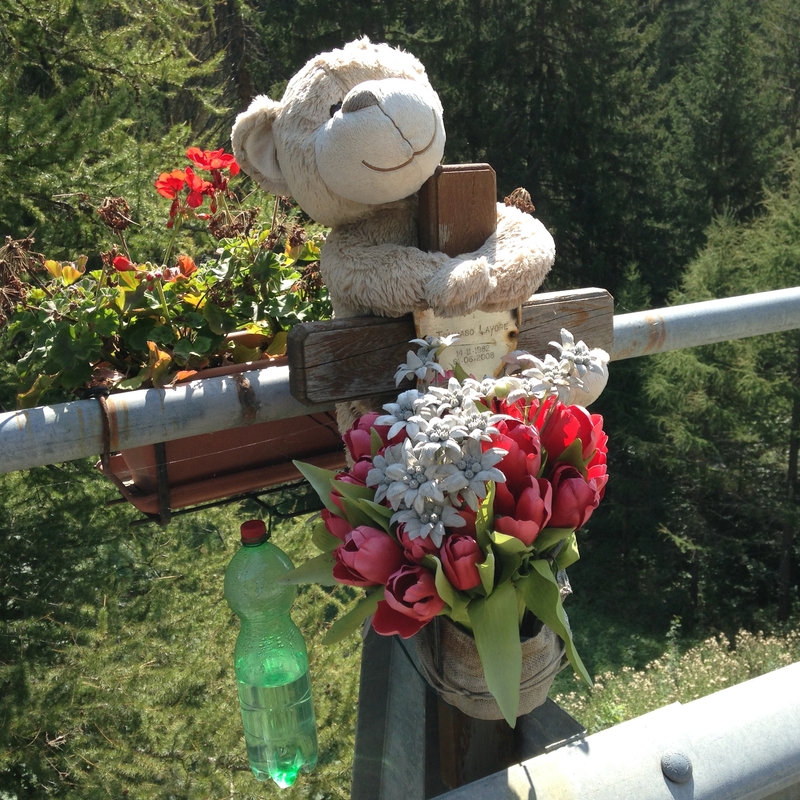 From there I crossed into Switzerland, crossed the Col de La Forclaz and eyed the big drop down to Martigny. I met Lillian at the bottom of the next climb to Champex (which she had ridden down) and we rode up that together, or more accurately I tried to keep up with her. The lake at the top was beautiful. 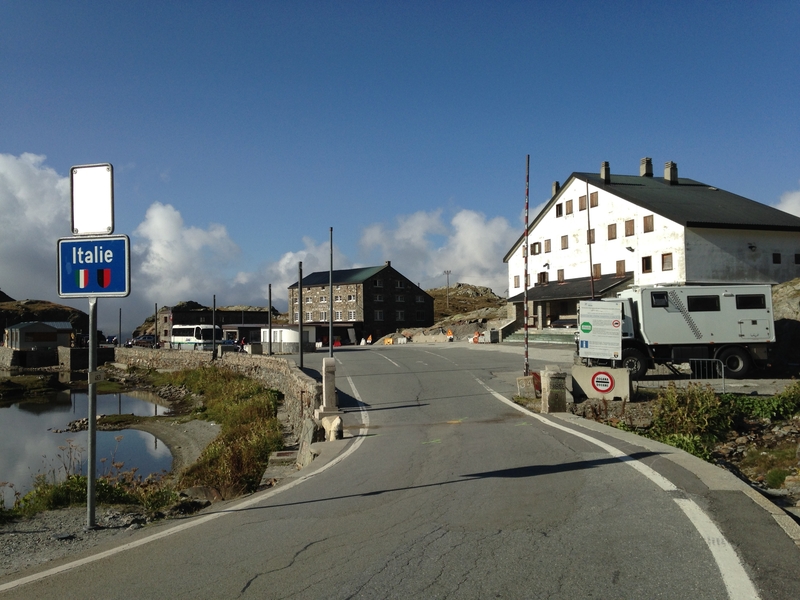 After another great descent I had a 20km drag up the main road to the Tunnel du Grand St-Bernard; it’s a pretty busy road so it was a relief to turn off it at the tunnel for the final climb up to the Col itself which is on a beautiful quiet road which I had skied up in the winter. Lillian again met me at the bottom of this and again put the hammer down! First day was 120km and 4,200m of ascent with just under seven hours riding time. On the Col we stayed in the Auberge de l’Hospice which is connected to the monastery on top of the pass. 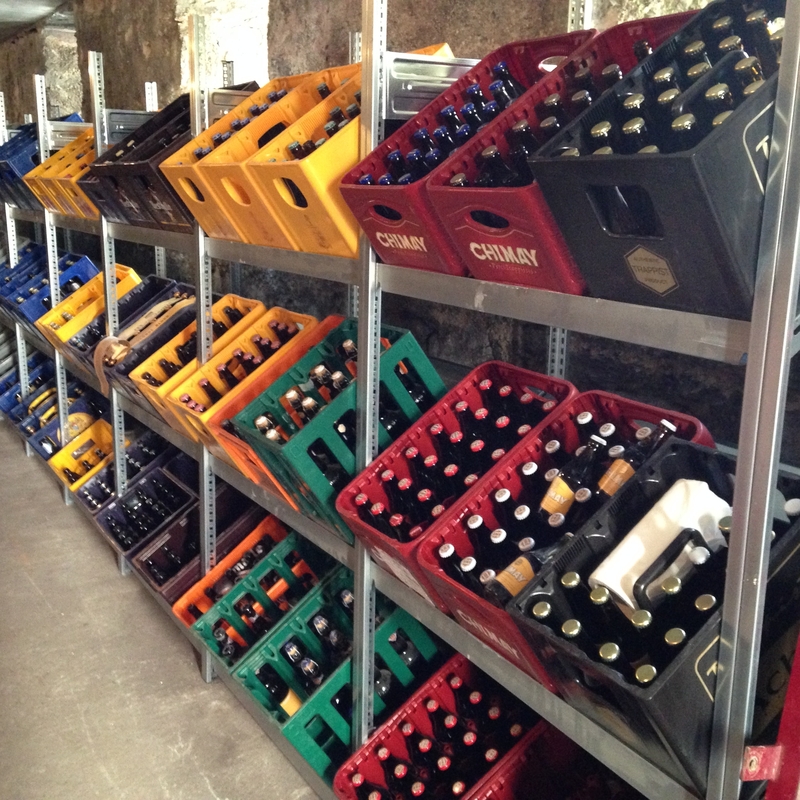 We were allowed to store our bikes in the beer cellar so they had good company amongst the crates of Chimay and other beers brewed by monks. It is a beautiful spot and it would have been nice to have spent some more time there. Next morning I crossed into Italy and did a cold but spectacular descent down to Aosta. It was about 2 degrees and there was frost on car windscreens so I was really glad that I could wear some extra clothing that I gave back to Lillian at the bottom. 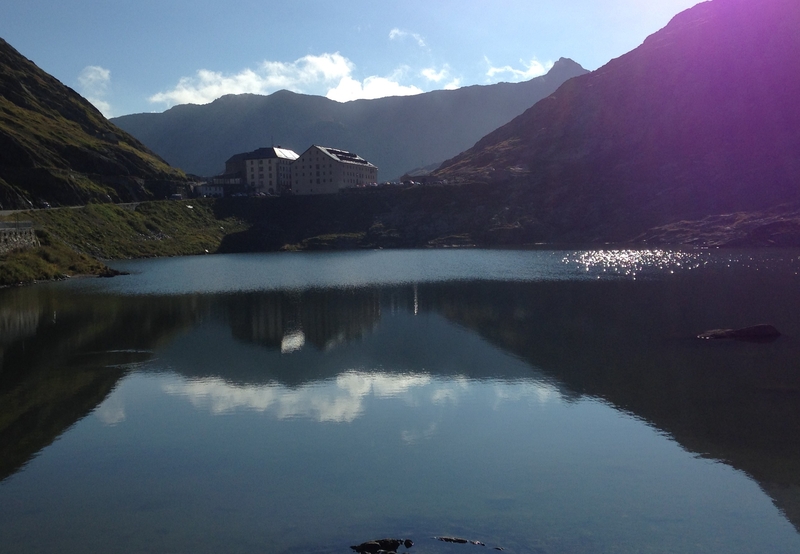 Then commenced a long drag up to the Col Petit St-Bernard. Actually this wasn’t so small being only about 300m lower than its bigger brother. I said goodbye to Lillian just before Courmayeur and she drove back to St Gervais through the Mont Blanc Tunnel. I also took some ibuprofen thinking that might stop my legs hurting; it didn’t… which is worth knowing. Some mental arithmetic revealed that with 60km done, I had 150km and three HC climbs to go. As it was midday I realised I would have to stop hanging around and get moving. The start of the steeper bit of the Petit St-Bernard was quite pretty, running up a wooded valley. I passed memorial to a young man (probably a motobiker) by the side of the road which got me thinking about how lucky I was to be alive, fit and to be able to do this. Towards the top it got a bit it was bleak although luckily there was not much wind. 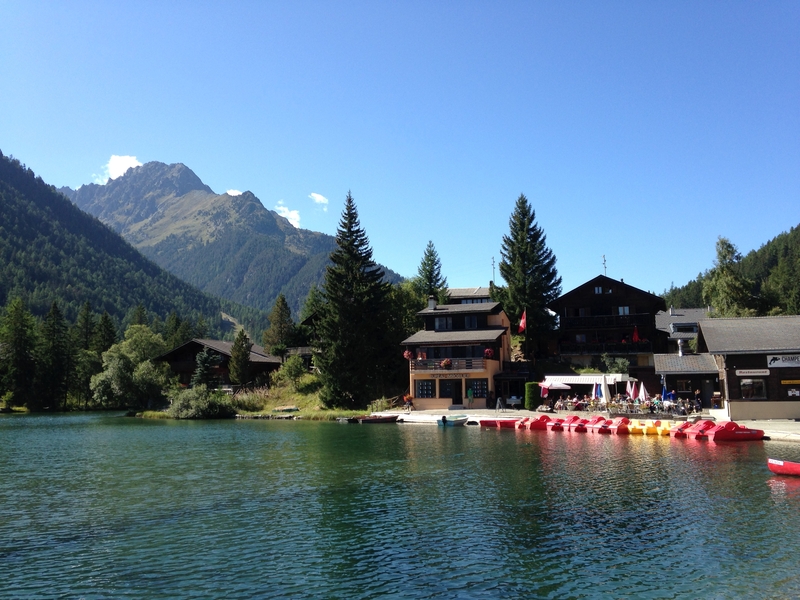 I crossed back into France and had a 31km descent into Bourg-St-Maurice which was bumpy in places and went on for so long that my fingers went numb; I had to look at my brakes to check that my fingers were still on them. 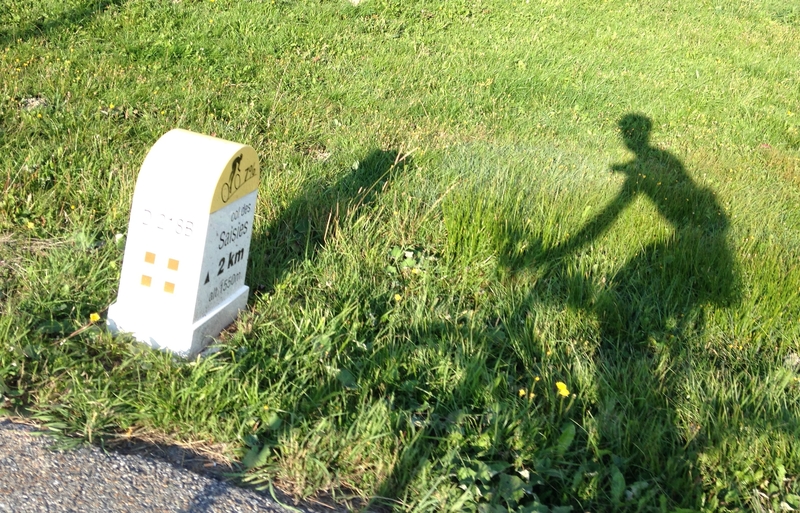 I stopped for a coke and sandwich in Bourg and contemplated the fact that I was still two cols and 90km from home. 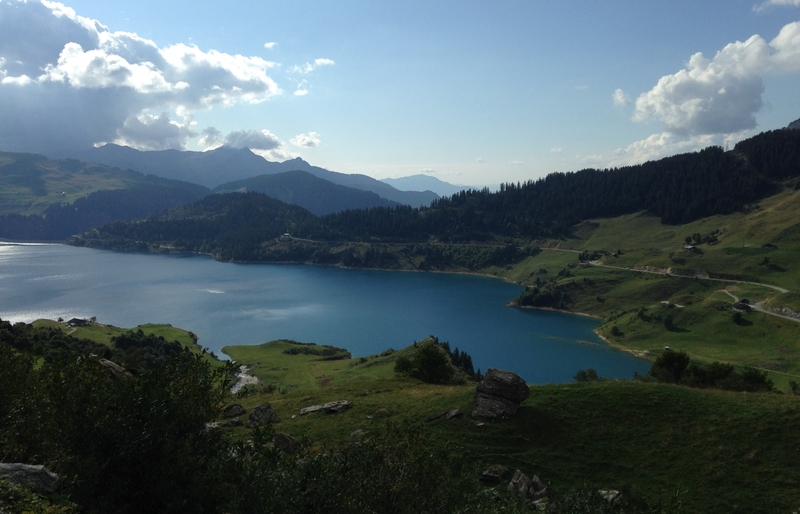 Luckily the next climb, the Cormet de Roselend, and the descent past the Lac de Roselend, were really beautiful. 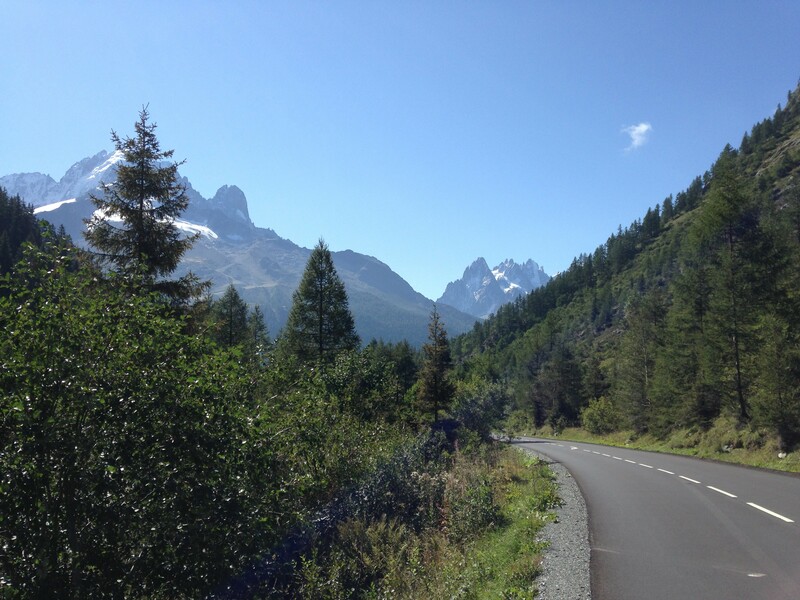 I arrived in Beaufort (home of the cheese and a picturesque small town), had a coke and a quiche and attacked the Col des Saisies feeling strong. I got up it in just over an hour and took in the beautiful views in the early evening sunlight. 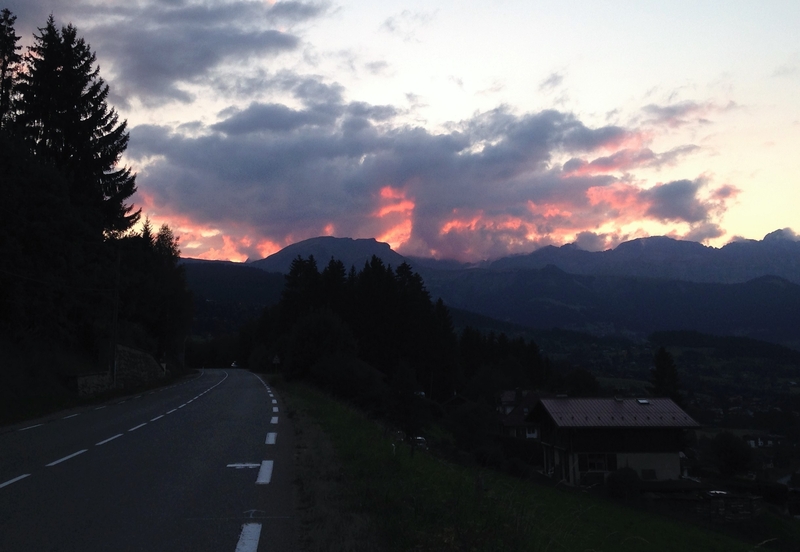 It was getting cold so I headed down and back through Megève, getting back to St Gervais at 8pm just as it was getting dark. It was a big day with 210km riding and 4,000m climb in just under 9 hours. My average speed for the whole tour was just under 21kph. Note that practical information on the tour is in a separate post: Practical Information. The pictures look great and a good write up. It makes me want to do it if I had a couple of spare days. Apart from the Chimay, I wonder if you saw any of the famous dogs at the hospice. The dogs are kept on the pass during the summer so we saw them waking up in their kennel in the morning. However, the kennel didn’t open to the public until 10am so we didn’t get to play with them… it was possible to take one for a walk if you booked.